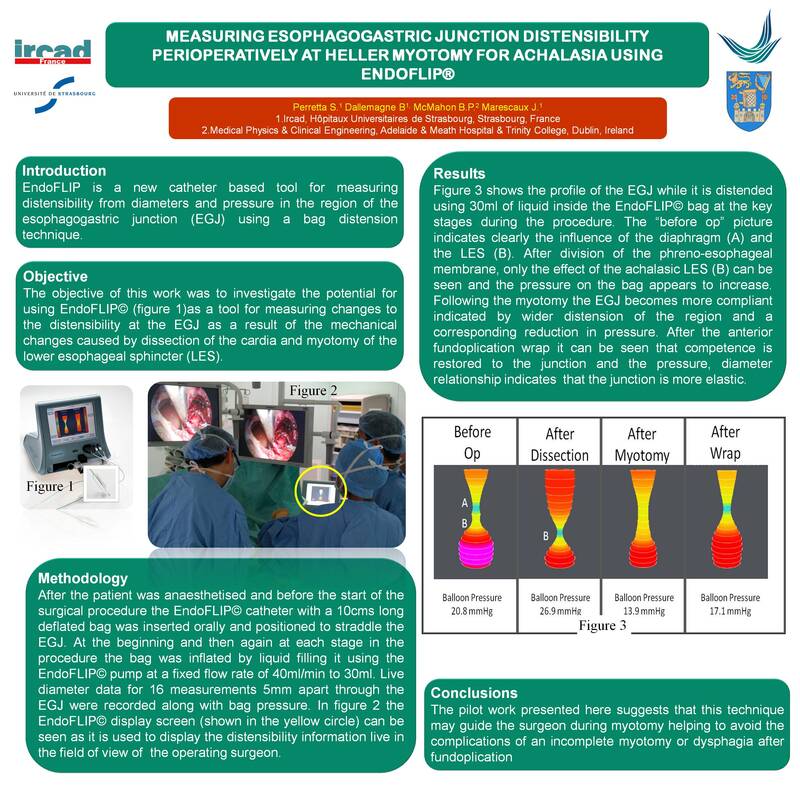 Objective: To investigate the potential for using EndoFLIP ® as a tool for measuring changes to the distensibility at the EGJ as a result of the mechanical changes caused by Heller myotomy and subsequent Dor fundoplication. Method: The EndoFLIP catheter with a 11cm long deflated balloon was inserted orally and positioned to straddle the EGJ before the start of the procedure. 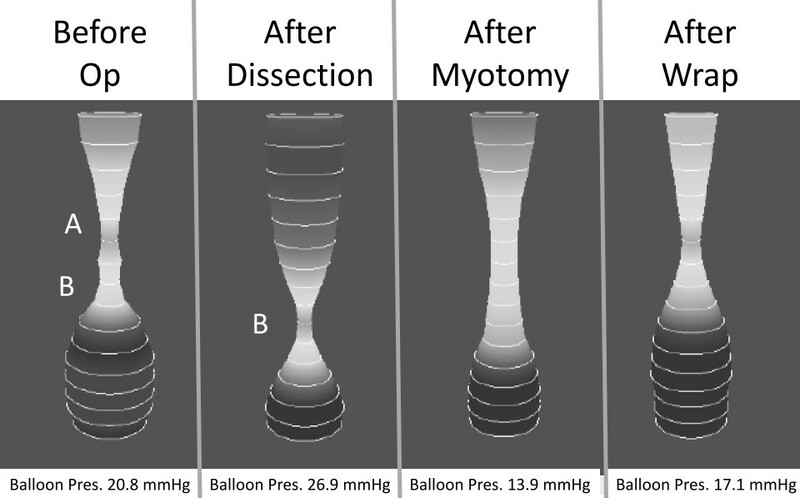 At each stage of the procedure the balloon was inflated by liquid filling it at 40ml/min to 30ml. Live diameter data and balloon pressure was at all times displayed on the system. Result: Figure 1 shows the profile of the OGJ before the operation where the influence of the cardia (A) and the LES (B) can clearly be seen on the image. Then after the LES is dissected only the effect of the achalasic LES (B) can be seen. Following the myotomy the junction is more compliant with a corresponding reduction in pressure. Then after the anterior partial fundoplication it can be seen that the competence has been restored to the junction and the pressure, diameter relationship indicates that the junction is more elastic. Conclusions: This technique may guide the surgeon during myotomy helping to avoid the complications of an incomplete myotomy or dysphagia after fundoplication.